We may have to wait until July to get the new season of HBO’s Game of Thrones. But that doesn’t mean fans have to wait to relive some of our favorite moments from the show in delightful and creative ways. At least, that’s what I learned when I went to see Game of Thrones: The Musical at the Matcha Theater in West Hollywood, California. 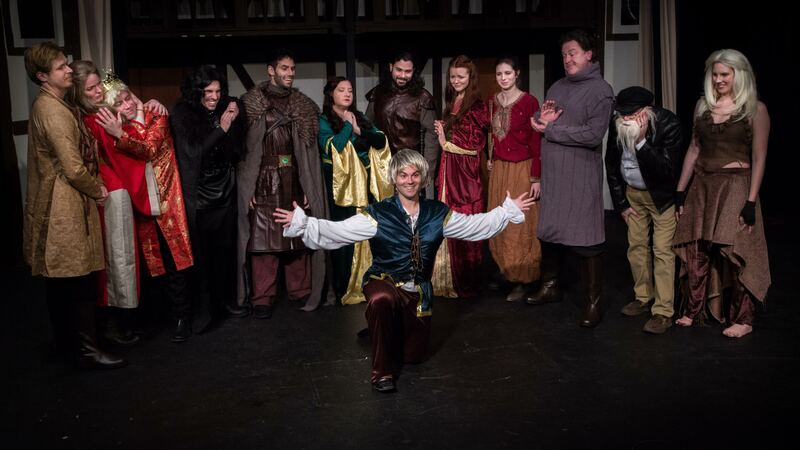 From the high energy opening number to the laugh-out-loud closer, Game of Thrones: The Musical is a hilarious and fun parody of the beloved show. The musical story itself only focuses really on the characters and overarching plot of the first season. You know, when all the Starks were still alive and winter was just a far-off notion Ned Stark kept whispering about. But the characters and writers were clearly caught up on the show because there are tons of references from all the seasons that everyone can appreciate. The parody is technically “unauthorized,” which means HBO didn’t exactly commission the creators to write it up. But if HBO didn’t want people writing musical theater fan fiction, they shouldn’t have created such an addicting and wonderful show that people would get so obsessed with. Each actor in this particular musical totally nailed their famous counterpart. Some actors even played multiple roles, much like Dean-Charles Chapman did in the series. They hilariously called it out when Tyrion Lannister suddenly becomes just a regular person of the Royal Court in back-to-back scenes. This musical has everything GoT lovers could want and more. It simultaneously plays up some of the idiosyncrasies of the show while also simplifying the insanely complicated storylines. You see Khal Drogo lovingly serenade Daenerys R&B style. And, you guessed it, there’s an actual Dire Wolf dance sequence. Honestly, what more could you ask for in a Game of Thrones musical? And there’s also a great Theon/Reek joke that was so subtle it took me a minute to process. But once I understood, I was literally cracking up the rest of the night. The whole thing, of course, is a love letter to the groundbreaking show. And though you’re laughing pretty much from start to finish, there are actually a couple genuinely touching moments. One musical number brings together all the women in a really empowering way. They sing directly to the audience about how may seem frail on the surface. And, in the first season, many of the main female characters do. But the truth is, these women are actually incredibly strong. Not only is it a beautiful song, but it’s also a great reminder of the evolution of the show itself. And taking the time to recognize that #girlpower is pretty badass. 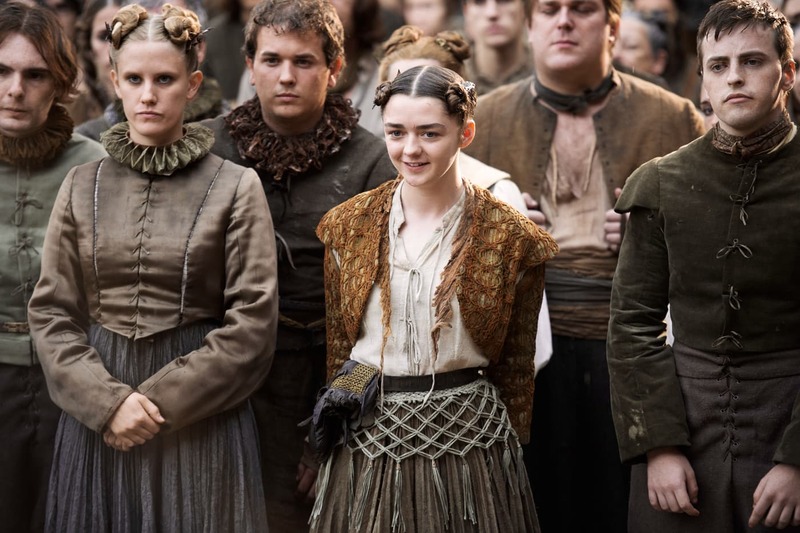 A handful of Game of Thrones musicals exist right now. And I’m sure many of them will satisfy your cravings for Westeros while you wait for the new season. But if you happen to live in the LA area, you have until April 16th to check out this particular show. It’s well-produced and highly entertaining. And the theater itself even feels like something straight-out of the time period. Plus, Hodor holds the actual door for you when you walk in. In case you needed another reason to check it out. And if you’re lucky enough to be headed to San Diego Comic Con this year, you can see these guys at various shows then, too. I had never experienced fan fiction that was quite as funny and imaginative as this musical. And I have to admit, it’s basically my new favorite way to experience the show. Until, of course, July 16, 2017, when the show itself returns to the air.